For all but about the last 10 seconds of “Hang the DJ,” it looked like Season 4 of “Black Mirror” had another “San Junipero” in store for us. That surprisingly sappy Season 3 episode was an extremely popular deviation from the norm for the anthology series, with its story about an elderly couple finding love through an online simulation. But “Hang the DJ” isn’t quite that. While, sure, it does seem to present a romance that ends happily ever after thanks to the magic of technology, its final scene shows its true colors — as an allegory for the way modern corporations love to use rhetoric about defying “the system” as a way to encourage participation in the system. It’s the illusion of defiance inspiring complacency. You’re surely familiar with what I’m talking about. Commercials telling you that buying a pair of jeans produced by a multinational megacorporation would make you a rebel. Ads trying to sell you on the “craft” label from the largest beer company on Earth by pretending it’s basically the same as drinking beer by an actual microbrewery. Facebook telling you how unique you are so you’ll more fully integrate yourself into a system that exists to categorize you as broadly as possible so other companies can advertise to you. $100 million-plus Disney movies about how you should go your own way instead of following the crowd. 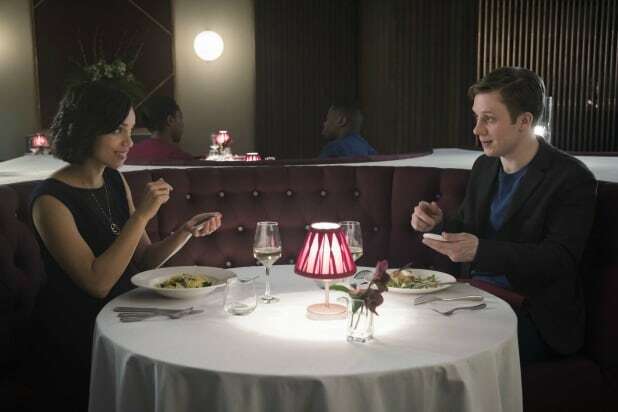 The punchline of “Hang the DJ” is that the entire dystopian love story we just watched in which the heroes (Georgina Campbell and Joe Cole) defy the system (or The System, which is literally what the characters call the matchmaking tech) and attempt to break free, was all just an algorithm in a dating app that was determining its own concept of what their compatibility would be in the real world. On the most surface level it probably seems sweet, but it’s actually the most subtly — and yet still massively — cynical “Black Mirror” episode yet. This was a story about willful participation in a system, not defiance of it. Think about how much info the app must have had on them in order to run the simulation in the first place, info that no doubt was used to sell stuff to them in other applications. There was probably a survey involved, too, but those are inherently unreliable because they’re as much posturing as they are honesty — especially with dating apps, where people tend to present the most generically appealing version of themselves. There’s also a factor of whether the app provider is being honest with the compatibility percentage. You may recall a few years ago that OKCupid intentionally mismatched people in order to try to see if their formula worked or if the mere suggestion of compatibility was enough to will it into existence. They determined using their internal standards that did seem to be the case! I’ll admit that I may be reaching somewhat — the final scene doesn’t provide any greater context for what that app is like beyond the simulation it showed us, nor is there any info about the people who made it. 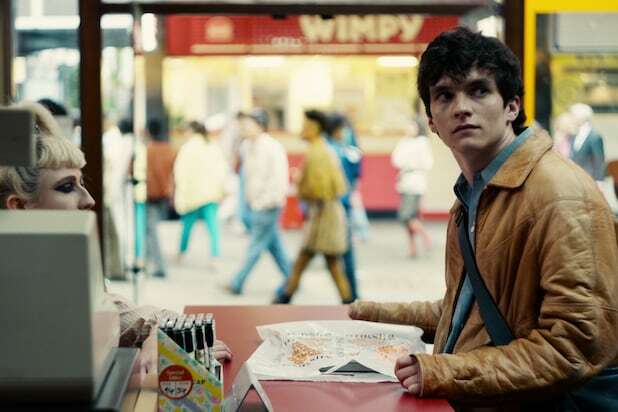 But given how often the cynicism of “Black Mirror” is rooted in cynicism toward real world things, it shouldn’t be a stretch to view “Hang the DJ” through the lens of what we know about the way real companies operate. But even if we’re examining only what the episode explicitly presents, the overt cynicism is there. It’s an episode that was, until the last scene, about two people defying a system that uses a computer algorithm to determine romantic pairings — with the end revealing that story was a simulation in a system that uses a computer algorithm to determine romantic pairings, which those same two people were enthusiastically participating in. It’s a delightful subversion, and exactly the sort of cynicism I watch “Black Mirror” to see.